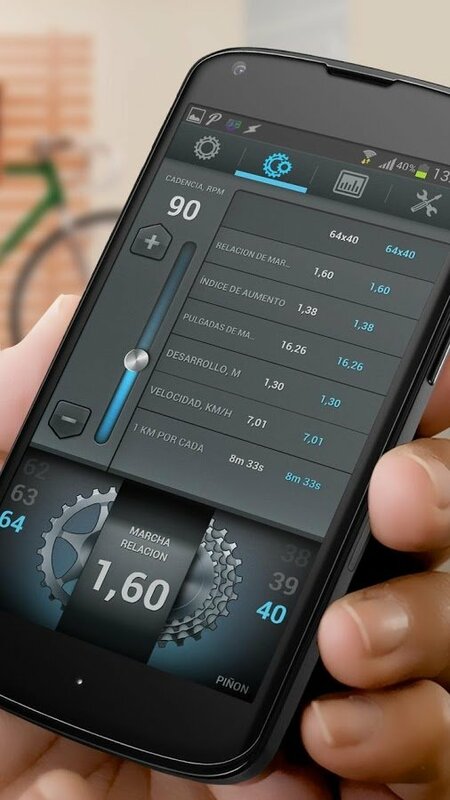 If you're a cycling enthusiast, but you're not too sure about the combination of chainrings and sprockets that you have to use in each situation, Bike Gear Calculator is the application that will settle all your doubts about this issue. An essential application for all sorts of bikers. 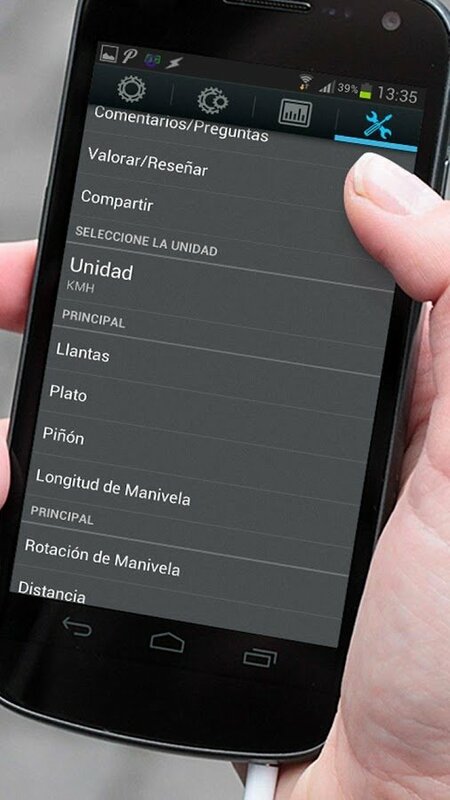 You only have to input the specifications of your bike (wheel size, crank length, target cadence, etc.) for Bike Gear Calculator to provide your with information such as the most appropriate gear ratio, the gain ratio, your development, speed and much more information. 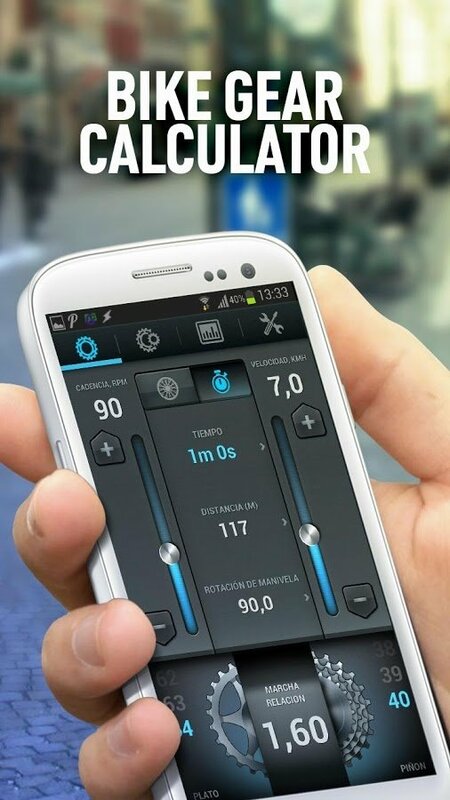 Configure the app to adapt to your bike's specifications. Choose the wheel size, target cadence and speed, crank length, chainring and sprockets. Calculate the distance travelled, the development moved, the cadence reached, gain ratio, crankshaft rotations, etc. Possibility to create tables and charts. Option to share all this information with your contacts. 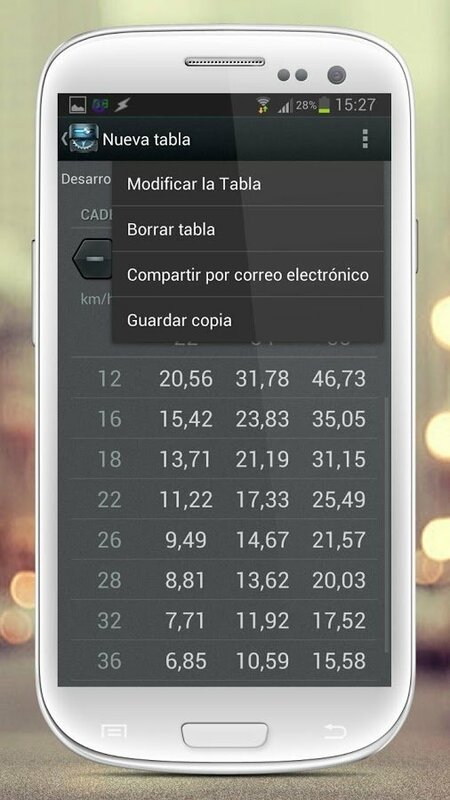 If you're looking for how to improve your energetic efficiency on your bike, don't hesitate and download Bike Gear Calculator for Android.